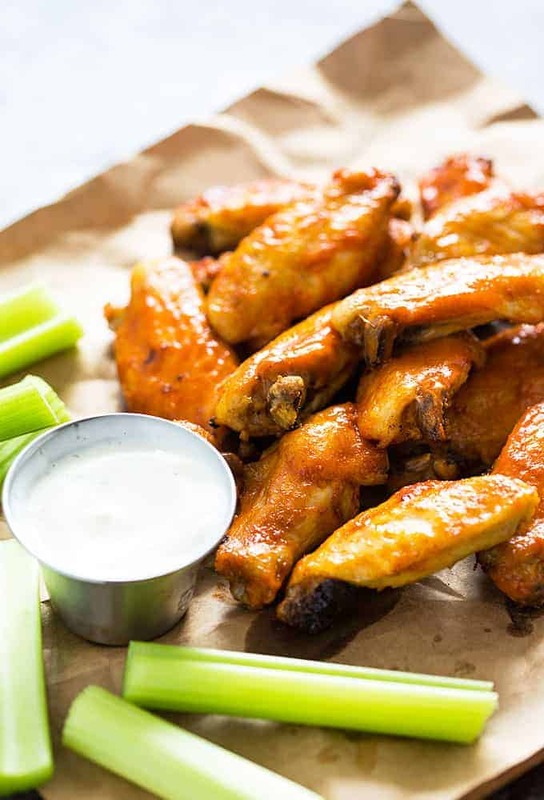 Super Bowl is right around the corner and I’ve got your buffalo wing recipe right here Slow Cooker Buffalo Chicken Wings! I don’t like my wings cooked so much that the meat falls off of the bone just by barely touching them. I want a little texture and for the skin to be somewhat crispy… this is THAT recipe! I use one of my old neighbor’s recipes (also a good friend) for his awesome buffalo wing sauce that I’ve always called Jeremiah’s Wing Sauce. 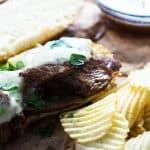 It’s insanely delicious and I’ve used it for years! 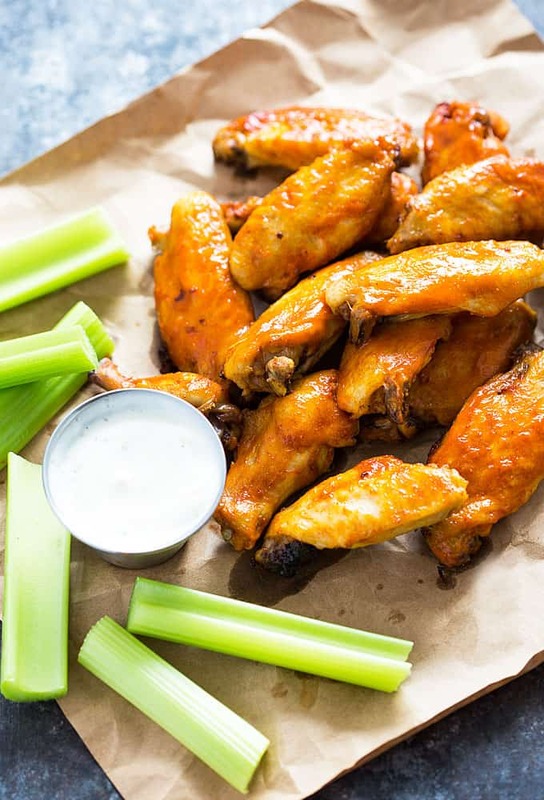 It is totally worth the time to make these wings (2 hours in your slow cooker followed by 30 minutes in the oven). They’re guaranteed to be gone in a hurry! 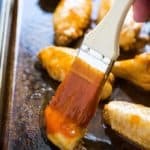 The sauce is a simple mixture of bottled buffalo wing sauce, butter, honey, garlic powder, seasoned salt and red (cayenne) pepper and is absolutely phenomenal! 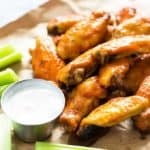 Flavorful and tender buffalo wings prepared in your slow cooker, then baked for a perfectly crisp crust full of flavor! Melt butter in a medium saucepan over medium high heat. Add wing sauce, honey, garlic powder, seasoned salt and red pepper. Stir well to combine and bring to a boil. Remove from heat and set aside (reserve 1/3 cup of this mixture for brushing the wings before they’re baked). 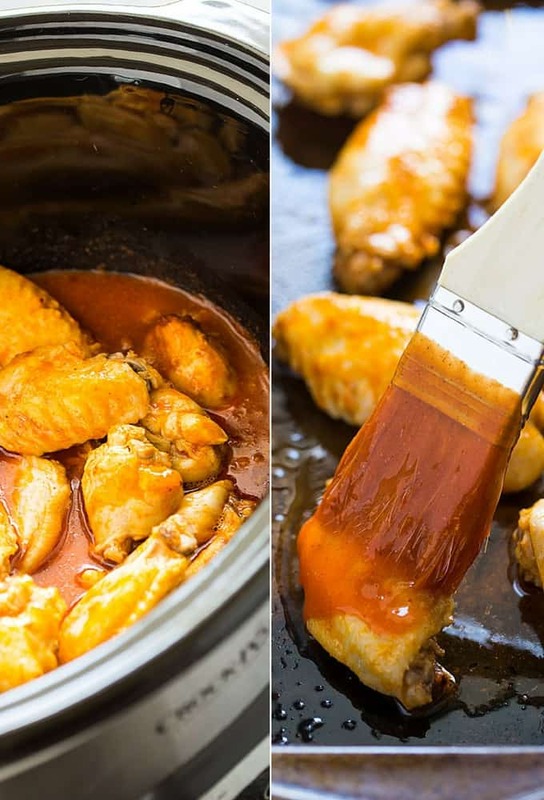 Place chicken wings into your slow cooker insert and top with buffalo sauce mixture. Cover and cook on high heat for one hour and then low heat for one hour. 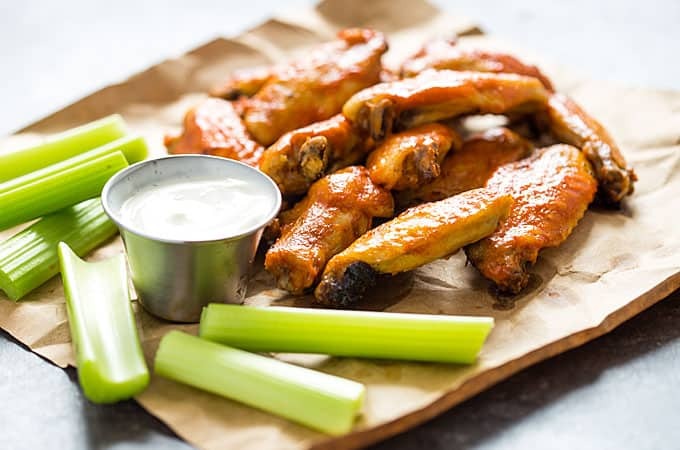 Place wings on a large baking sheet lined with parchment paper, aluminum foil or sprayed with cooking spray. Brush with the reserved sauce mixture. Bake in a preheated oven at 350 degrees F for 30 minutes. 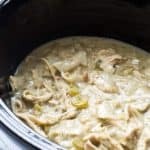 I used a 6-quart slow cooker in this recipe. Lotta wings and a little maintenance… game day has never looked better! Love this life hack! Just made these with my dad, they’re awesome! Thank you!! 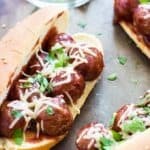 What would your suggestion be to make these without putting them in the oven? 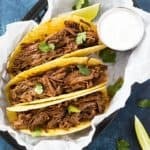 I don’t have access to one and was wondering if they are good to eat after the slow cooker?